If you haven’t checked out Google Earth you need to get going and download it. Google Earth lets you fly anywhere on Earth to view satellite imagery, maps, terrain, 3D buildings, from galaxies in outer space to the canyons of the ocean. You can explore rich geographical content, save your toured places, and share with others. And if you enjoy Google Earth than you are going to love the new Google Earth 5.0. Dive beneath the surface and visit the deepest part of the ocean, the Mariana Trench. Explore the ocean with top marine experts including National Geographic and BBC. Learn about ocean observations, climate change, and endangered species. Discover new places including surf, dive, and travel hot spots and shipwrecks. I don’t know about you but I have a very hard time keeping track of all my social networks online. I hardly check any of them because it takes so much time to sign into each one of them and remember all the passwords. But now there is a new social networking site that has the ability of combining all of your other social networks into one easily accessed space. The name “Youmeo“ is a play on the words “you and me online”. Those words make up what Youmeo is all about, connecting you with others around you. 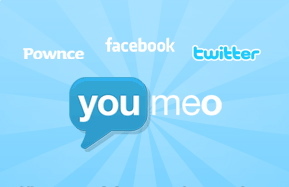 Youmeo supports the online togetherness of Myspace, Facebook, Twitter, LinkedIn, Bebo, Last.fm, Hi5 and many more. On your home page you can put in what you are doing and post it to all your connected sites or choose a few or even just one but being able to update them all at once is pretty decent in my book. You can add friends from your email account. Just by logging into your account inside Youmeo and it will bring up all your contact emails and you can send them invites to join Youmeo or see if they already have a Youmeo account. You can add photos and videos to share with your friends. You can also add new blogs directly into Youmeo for all of your friends to see. Aswell, you can also update all your other blogs that are online like blogger and live journal. Try it on and tell me what you think. Is it worth it to combine all your social networks together? Is it easier? About a month ago I was given a Flip Video MinoHD Camcorder to use and abuse. I have thoroughly enjoyed using it and no I have not abused it(as of yet). Its probably the easiest video recorder I have ever used. Here is what I have to say about it: I love that you can just pop the flip mino into your computer and start sharing your videos. If you have messed up and want to start over, its super easy to erase. Editing and creating exactly what you want is enjoyable. Because its tiny and can be easily tipped over, the tripod mount is very helpful. I would have thought the microphone would have a hard time picking up the noise, being that its so tiny, but it is very powerful and I have never had a hard time hearing what I have recorded. Here is what the website has to say: MinoHD combines Flips signature simplicity with breathtaking quality. In addition to letting you shoot and share in cinematic widescreen, MinoHD is as sleek and designable as Mino. Shoots in 1280 X 720 video resolution. Displays in 16:9 cinematic widescreen and holds up to 60 minutes of footage. It has 4 GB of internal memory but only comes in the color black, which really isnt a bad thing. 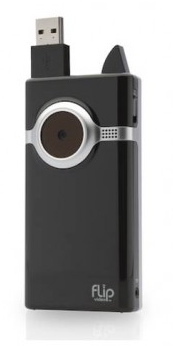 If you would like to learn more about the Flip Video MinoHD Camcorder visit their website theflip.com. For $359.00 the Kindle 2 compared to the Kindle 1 is 25% thinner, 20% faster, bigger memory, better display, longer lasting battery life and so much more. 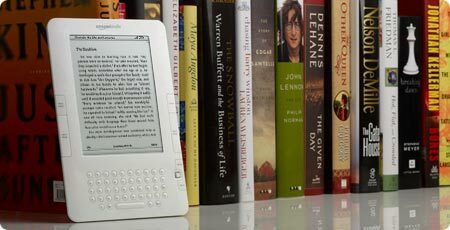 For all the technical details check out Kindle 2: Amazon’s New Wireless Reading Device (Latest Generation) . Pre-order the Kindle 2 now! The Kindle 2 will be released on February 24, 2009. AA batteries look pretty much the same. But there are so many kinds: lithium, nickel-metal hybride, nickel oxyhydroxide, and alkaline. Shopsmart magazine tested 17 AA batteries, both rechargeable and regular, here are their results. Duracell rechargeable – Thes nickel-metal hybride batteries can be recharged hundreds of times. Duracell precharged rechargeable – Unlike other rechargeables, you can use these without having to charge them up first. So they’re good to go right out of the box. Energizer Ultimate Lithium – In digital cameras these lithium batteries took the most snapshots at the best value. 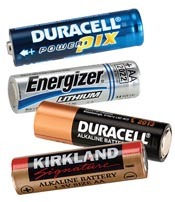 Kirkland Signature – These alkaline batteries are cheap and have a long shelf life. Costco sells them in packs of 48. I just saw this today for the first time. One of my colleagues has the SnapTell application on their iPhone and they showed me how it worked. I was sad that I didn’t have a iPhone until I read that any phone with a camera will work, obviously not the same as the iPhone but you snap, send and get. Here’s how it works: Using an everyday camera phone and SnapTell’s innovative image recognition technology, users can easily and instantly access requested information. The SnapTell solution enables consumers to easily access marketing content and information on the go, driving brand awareness, conversion, loyalty and revenues. Our 100% opt-in Snap.Send.Get mobile marketing solution gives consumers the power to define their mobile marketing experience. We believe that consumers have the right to decide when and how they will participate in their mobile marketing experience. So when you need help with finding an item, you snap a photo, send it to snaptell and get back cool content on your phone. They will tell you the best price online and in your area, where you can buy it and give you directions to the store. This would be a great help with those hard to find items and anything that keeps me from traveling from store to store is a wonderful thing. 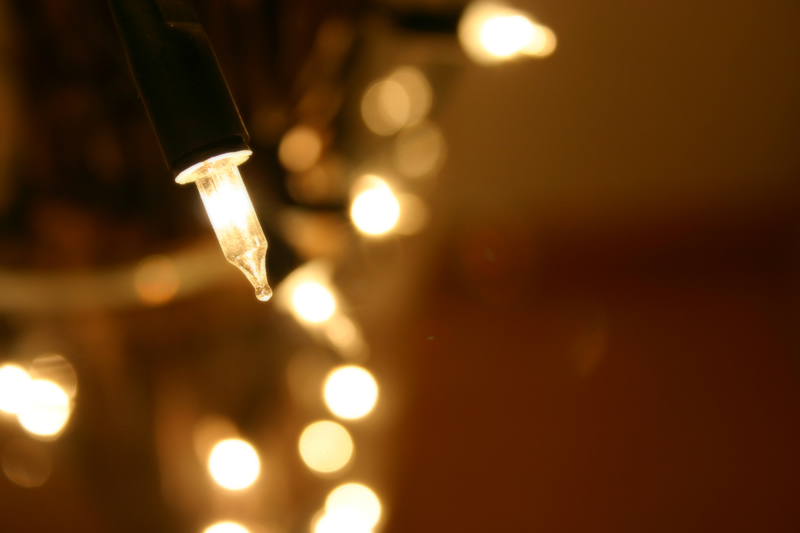 Over at wikiHow I found this tutorial on How to Make a Mini Christmas Light Bulb Tester. Instead of going out and buying one of those fancy light testers that don’t seem to work like they should, try this to test your mini-lights and see if they work and need to be replaced. Place the electric cord next to the “D” battery. Carefully splice the cord down the middle so you have two separate pieces that are still attached to the plug. Cut one end so it can run from the top of the battery to the bottom center of the battery. Expose the copper ends and tape securely to the bottom of the battery. Cut the other piece very close to the plug (leave yourself some extra, but not too much).Expose the copper in the wire and tape it to the top of the “D” battery. Be sure to tape both ends securely so they won’t move. Take the top off your Rx bottle and place on top of the two prong plug and draw two lines on the cap where the would be. Try to center them with in the cap. With your knife, cut the cap where you made the marks so you will have two slits in the top of your Rx cap. Slide your “D” battery with taped-on plug into the Rx bottle. Carefully squeeze the two prongs close enough together so you can fit a mini light into it and presto, you have a mini light tester. For the complete Tutorial and Tips click here! When I first heard on the news that by law the whole broadcasting nation is switching to DTV (digital TV), I worried I might have to throw my old TV away and buy a new one. DTV is not a brand new thing as many of you are already enjoying the benefits to clearer channels and improved sound. Come to find out I won’t need to recycle my TV but there are some changes that I will need to make. The switch goes into affect on February 17, 2009 so there is plenty of time to make the necessary fixes before you could potentially lose broadcasting altogether. You will be affected if you use an antenna and don’t pay any type of TV service combined with a TV set that operates off of an analog tuner. DTVanswers provides all the information you need to know about the switch. The good news: Making the switch is easy. All you have to do is buy a DTV converter box for your current TV, it can be purchased at almost any store that has an electronic section. The price of a converter can range anywhere from $40-$70, but you can click here to apply for a coupon of up to $40 for a converter, limited two per household. This coupon program was put into affect by congress. I was listening to the radio and heard an add for GoToMyPC.com. If you are always on the go and need a way to work from wherever your travels take you, than this is for you. GoToMyPC is the fast, easy and secure way to access your PC from any Web browser or wireless device in real time. GoToMyPC allows you to remotely access your computer from any other Internet-connected computer in the world with almost any operating system through a secure, private connection. The GoToMyPC architecture is designed for maximum security, performance and reliability. Yet it’s still simple to implement and easy to use. Redundant switches and routers, clustered servers and backup systems ensure reliability and scalability. Does not require special configuration or compromise the integrity of your firewall. For your company they offer all the same features of GoToMyPC plus a central administration center to manager your team’s access. Try a risk-free trial of unlimited remote access for multiple users to up to 4 PCs for 30 days. When your free trial ends, you can purchase GoToMyPC Pro access to up to 50 PCs. For your personal use, try a risk-free trial, for unlimited access to 1 PC for 30 days. Whats the Best Laptop for You? For the Business Traveler – Apple MacBook Air, 13-inch. For about $1800, this is the lightest of the light at just under 3 pounds. Its super comfy to use and it has a 4-hour battery life. It has no CD or DVD drive but you can add an external one and it doesn’t have a removable battery. For the Bargain Hunter – Dell Inspiron 1525. For about $675, this is perfect if you are on a budget. Its powerful enough to do all the basics and it has lots of ports, a decent 3.5 hour battery life, and a webcam for phoning home. It does not have the greatest processor or fabolous speakers. For the Best of the Best – Apple MacBook Pro, 17 inch. For around $2,900, this is for those that want the best in class with lots of power. It has speedy performance, comfy ergonomics, and lots of extra features. It has a 5.5-hour battery life and relatively light at 6.6 pounds. For the Desktop Replacement –HP Pavilion HDX Entertainment Notebook. For about $2,700, this laptop has the power and features of a full desktop in a luggable size. The screen is 20 inches, the speakers have great sound quality and its super fast. Its a tad bit too heavy for sitting on your lap at almost 16 pounds. For the Budget Gamer – Dell Inspiron 1720. At about $1,290, this is great for the gamer on a budget. This laptop can handle light gaming and is great for watching movies. It is loaded with useful features like five USB ports and a remote control. This weighs 8.3 pounds. 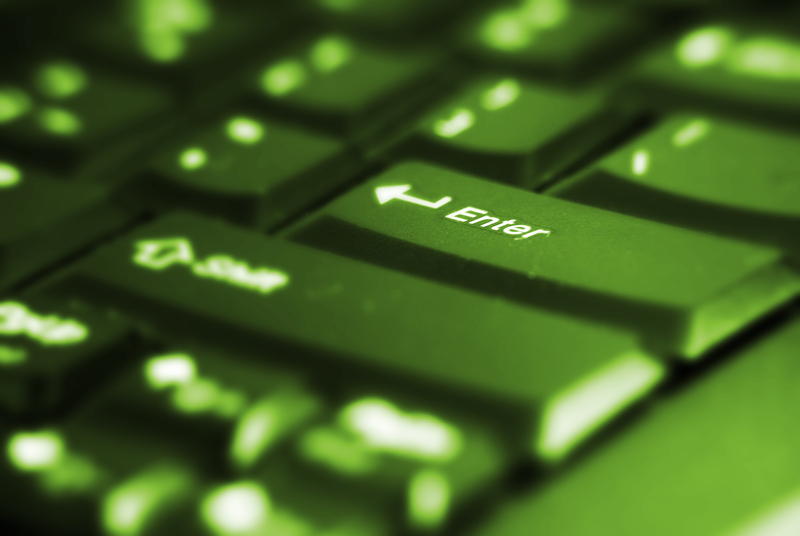 If your new computer is replacing an old one, remember to ask the company you are buying from if they will recycle your old computer. Don’t let your computer be tossed into a landfill. Also make sure and wipe the old hard drive clean before handing it over to be recycled. 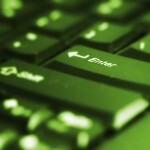 Author adminPosted on July 31, 2008 July 31, 2008 Categories help, techLeave a comment on Whats the Best Laptop for You?